Way back in the day, when my parents wanted to take me and my sister on a road trip, they would call up the local AAA rep and request a road map. We’re talking late 1970s now—the days when the Afro pick held priority in the back pocket of my jeans and everyone cool was sportin’ white Converse shoes. If you’re of a certain age, you’ll remember these maps. They were called TripTiks. 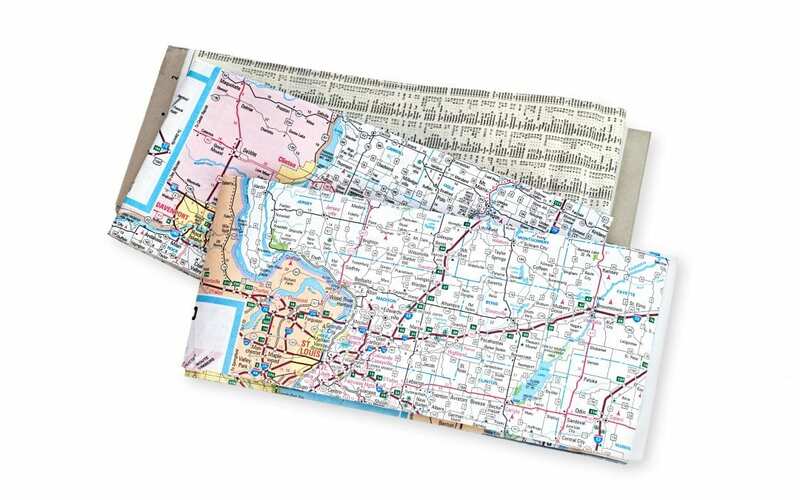 Before major car trips, Americans would consult their local AAA office to pick up a paper map with highlights showing the best route to your destination. If you asked in advance, the AAA agent would even call attention to key landmarks for you along the route—be they rest stops, hotels, or gas stations. As a kid, I found these maps to be pretty cool because they signaled the start of an exciting time. They foreshadowed the adventure to come. Now, it’s difficult to find paper maps. Google, Yahoo!, and mobile apps like Waze are now the go-to whenever we need a map. Technology has changed how we prepare for our journeys. Finding the right paper map and preparing it to serve as an effective guide for a journey is a lost art. Every driver understood the importance of being a navigator, or at least of having a navigator present. There’s a responsibility that comes with being in the driver’s seat and the road map has always been an indispensable resource for competent navigation. If you want to lead, don’t embark on a journey without a map, especially if you’ve convinced others to join you in your pursuit. Leaders are responsible for articulating a compelling destination, but you’re also accountable for preparing others—and yourself—for the journey. There are three phases to every journey: the preparation, the journey, and the arrival. Road maps force us to prepare. They allow us to anticipate the best path forward. They cultivate foresight. Unfortunately, many leaders fixate on the destination and that fixation often clouds their ability to prepare properly for the journey. Inevitably, a poorly prepared leader risks guiding others into treacherous valleys and relentless storms. Leaders, your role is to articulate a destination for others. You offer a vision of where we can go or who we can become. Asking others to join you in the pursuit of the destination is an awesome responsibility. When you persuade others to make a journey, the responsible thing to do is to have a road map. Road maps ground us in the realities of the journey. They force us to think about the how. They promote planning and contingencies and improvisation. If you know where you want to go, and you want to get there intact, grab a road map.